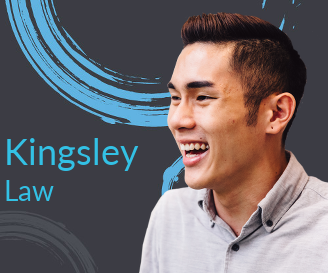 Kingsley studied with us in 2016/17, and after completing the Warwick IFP in Law, he progressed on to the LLB Law degree at Warwick. What were you looking forward to most about studying on the IFP? What made you want to choose Warwick? ​I checked the university ranking and Warwick was pretty outstanding, in Singapore there is not a uni that recognises the Law in the UK. Compared to the education system in Singapore I love it, the pace is a lot slower and the lecturers are very positive in the way they teach. If you answer a question wrongly they will not embarrass you, it makes me more motivated in learning. How have you found adapting to a new culture? The only thing I have not adapted to is the food, other than that everything here is perfect! I like the weather here compared to Singapore...because in Singapore it is always summer! The course can be quite intense, have you found chance to visit other parts of the UK? Yes! I have been to Bournemouth to visit a friend and most recently I went to Birmingham and London. I don’t want to travel out too much yet though, I will after I get into University - that is when I will start to explore. We had a Parliament trip last month, we went to London to visit the House of Commons and House of Lords as part of our Law programme. It helped us to understand the UK system better. We went into the court room and watched a case to better understand how they argue their cases and how the legal system works here.